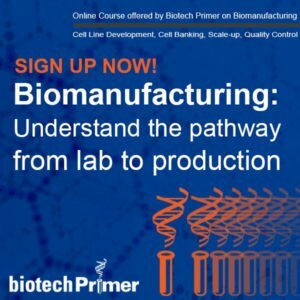 Immunotherapy is the current biopharma darling, garnering massive investment and media attention. Ranging from monoclonal antibodies to engineered T-cells, companies are rapidly learning how to harness the power of the immune system to fight disease. Activation immunotherapies “turn on” or “turn up” the patient’s own immune response to help fight disease. Suppression immunotherapies suppress the patient’s immune response in disorders caused by an overactive immune system—think autoimmune disorders. In this WEEKLY we concentrate our efforts on two types of activation immunotherapies, chimeric antigen receptor therapy (CAR-T) and T-cell receptor therapy (TCR). Both rely on engineering T-cells to recognize specific cancer targets and lay the groundwork for some of the hottest medicine in development today. Your body is an amazing machine, and just like all well-designed mechanics it has a built in degree of redundancy. Should your non-specific immunity fail, the immune system will call in the big guns: T-cells. 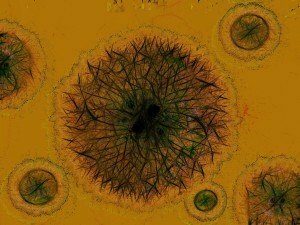 T-cells roam the body on the look-out for signs of invasion by recognizing foreign proteins displayed on virus-infected cells and bacteria. A T-cell is highly specialized and able to match its own distinctly shaped receptor to the foreign protein─much like a lock and key interface. Once a match is made, the T-cell is activated. Activated T-cells divide rapidly and produce two types of cells: killer T-cells and helper T-cells. Killer T-cells trigger cell death and helper T-cells secrete signaling molecules (cytokines) that rev up the immune response. T-cells don’t naturally recognize tumor-specific proteins on the surface of cancer cells due to the cloaking ability of cancer. Tumor cells are seen as “self” by our immune system, which partly explains the success of cancer as a disease. To train T-cells to go after a tumor, killer T-cells with special markers are first isolated from a blood sample. These selected killer T-cells are genetically altered to create recognition receptors unique to the patient’s tumor. These engineered T-cells are then multiplied in the lab, and once infused back inside the patient’s body, they seek out and destroy the cancer. There are two types of engineered T-cell therapies: chimeric antigen receptor therapy (CAR-T) and T-cell receptor therapy (TCR). The word “chimeric” means to be composed of parts from two or more different sources. A CAR-T is part antibody and part T-cell. The hybrid produces a seek (the antibody part) and destroy (the T-cell part) molecule that goes after cancer. Once a T-cell has locked onto its target, it makes copies of itself and sends out cytokines to call the rest of the immune system to the fight. The killing ability of CAR-Ts are extended past the original cell line to the next and onward, ideally attacking any and all cancer cells it can find. CAR-Ts can only recognize proteins expressed on the surface of the cancer cell, but TCRs can recognize tumor-specific proteins on the inside. 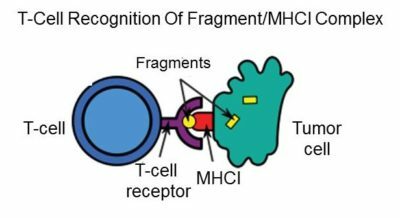 Inside tumor-specific proteins are broken into fragments; these are “presented” on the cell surface with another protein called MHCI. TCRs are engineered to recognize a tumor-specific fragment/MHCI complex. The gene sequences introduced into engineered TCRs are selected by screening healthy donors for naturally-occurring TCRs that recognize a specific fragment/MHC combination. 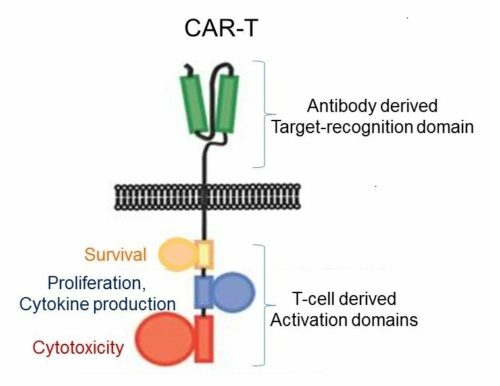 Simply put, CAR-T attacks cancers that display tumor-specific proteins on the outside of cells and TCR attack cancers that display tumor-specific proteins on the inside of cancer cells. CAR-T and TCR are showing great promise (especially treating blood cancers) in early, small-scale clinical trials. However, one of the main clinical concerns is their ability to induce a “cytokine storm.” Activated T-cells release signaling molecules called cytokines that stimulate the immune response, but if too many cytokines are released, a patient can suffer life-threatening effects. In order for CAR-T and TCR to become routine clinical practice, fail-safe methods for controlling cytokine storms are needed. One approach to controlling an overactive immune response is to require two inputs: a target-recognition domain and a small molecule drug. Rather than having the target-recognition domain directly connected to the activation domain, they are each controlled by a separate “switch” that is “turned on” by a small molecule drug. Once a patient is infused with the T-cell therapy, the patient is given a small molecule drug to fully activate the drug. If this results in a cytokine storm or other overpowering response, the drug can be immediately withdrawn. 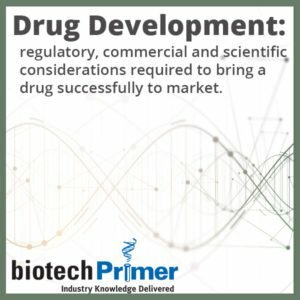 Bellicum Pharmaceuticals (Houston, Texas), Intrexon (Germantown, MD), and Theravectys (Villejuif, France) are all working on the preclinical development of control switches for CAR-T cells. Next week, we will continue our discussion of T-cell innovations including the development of “off the shelf” CAR-T therapy.